What you see in the above photo is a burst of solar plasma looping out from the surface of Sun, a violent burst of solar activity that's somewhere near one million degrees fahrenheit. Called a "coronal loop," it’s one of the structures a joint team of scientists from the United Kingdom, the United States, and India has been studying to try and predict solar storms through the buildup of magnetic energy on the surface of the Sun. 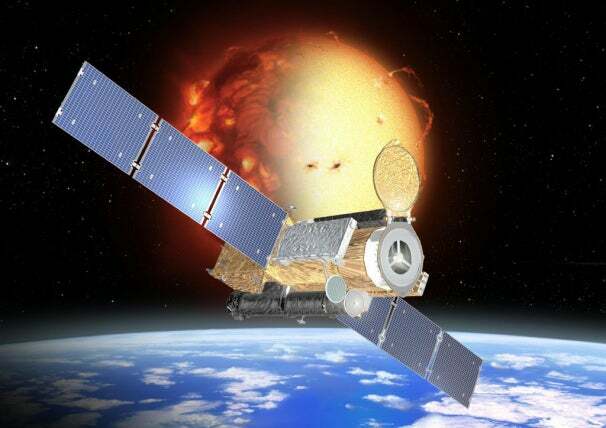 The team hopes to gain a better understanding of the Sun and its reactions through the equipment installed on the Hinode (Solar-B) satellite. The threat of extreme “space storms” is very real. Space storms are caused by solar flares and coronal mass ejections, both large violent energy releases from the surface of the Sun that flow out into space. When those storms hit the Earth, the potential for damage is great. The storms can cause damage to the power grid and knock out satellite communications. Damage caused by such solar activity can easily cascade into loss of life and cause untold dollars in damage to infrastructure across the world. Predicting those storms and their magnitude is the overall goal of the Hinode Program. 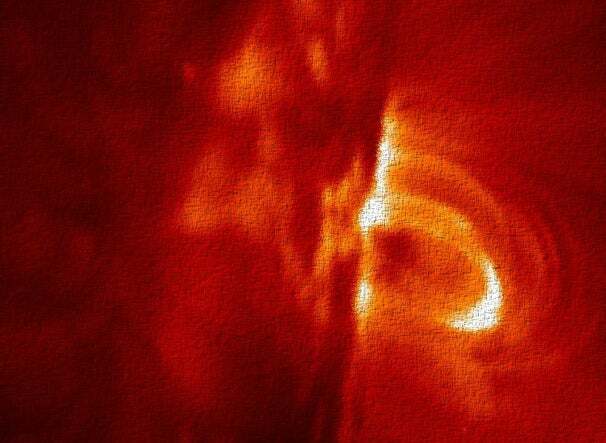 Scientists don't know much about exactly how plasma is heated and jettisoned from the surface of the Sun to create such spectacular loops. Our Sun is about to enter an increased activity period of solar storms due to the cyclic rhythm of how active it is, with the peak being in May of 2013. Countries like the UK list severe space storms very highly on their list of civil emergencies, so this is serious business. What the study means is that we’re on the cusp of better understanding the magnetic ebb and flow in fields on and under the surface of the Sun, and how this causes flares and mass ejections. The most important piece of the puzzle is the “active regions” of the Sun from which these explosions and reactions occur. being able to predict a reaction before it occurs based on scientific data would at least allow us to brace for any sort of severe storm coming from the Sun, and perhaps understand how powerful such an event could possibly be. The risk of a coronal mass ejection powerful enough to cause widespread destruction across the globe is something we can’t avoid and need to prepare for. At this time, science can only begin to warn us of an impending space storms, but we can't tell how strong they are until almost immediately before impact. Hopefully teams like the Hinode and other intrepid scientists watching the skies will soon be able to not only throw out a warning, but also deploy some kind of umbrella or shield to keep the worst of the Sun’s destructive force from earth’s electronics.